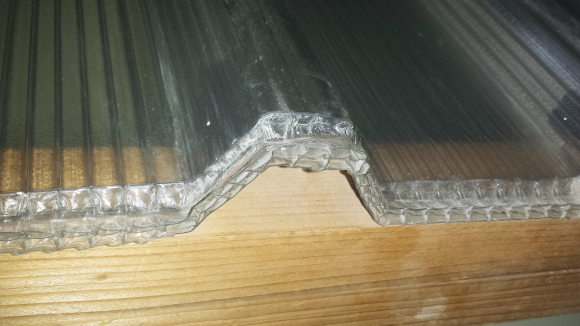 DOMOLAM insulating panels are produced according to the standard EN 14509:2013 and have CE marking. The polyurethane foam PUR is chemically neutral, non toxic and it is produced with environmental friendly technology with the use of pentane (CFC, HCFC free). 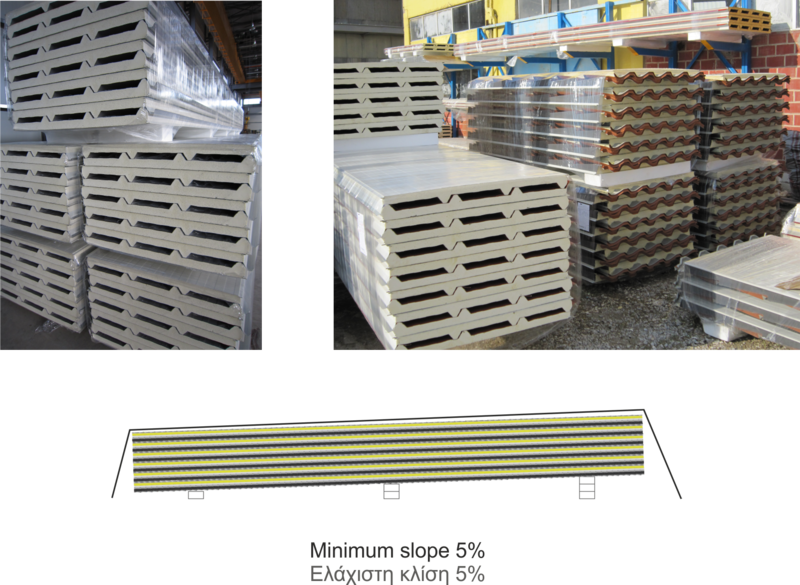 DOMOLAM insulating panels are produced with foam B3 with fire reaction Cs3d0 or B2 with fire reaction Bs2d0 according to EN 13501-1, ΕΝ 11925-2 and EN 13823. 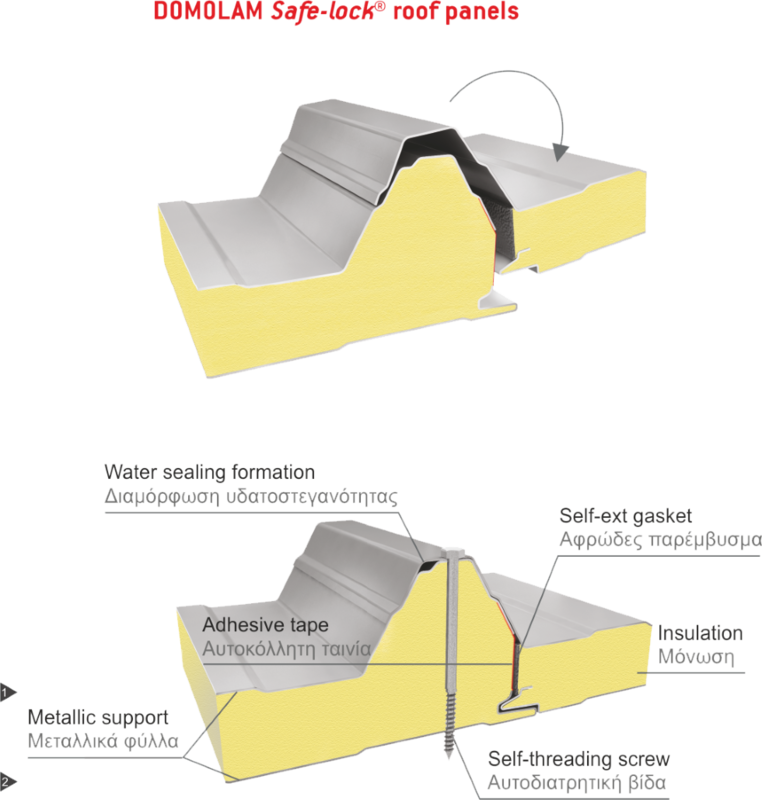 Alternatively produced with polyisocyanurate foam PIR, with fire reaction Βs2d0 and fire resistance REI 30 in thickness of 100mm, according to EN 13501-2. The foam contains a high percentage of closed cells >95% (waterproof/mould resistant) providing perfect adhesion to the metal sheets. Its thermal conductivity factor is λ=0,0215 W/mK according to EN 13165 and its average density is 40-42 Kg/m3 according to EN 1602. Average tensile strength 180 KPa. Average compression strength 160 KPa. Average shear strength 140 KPa. 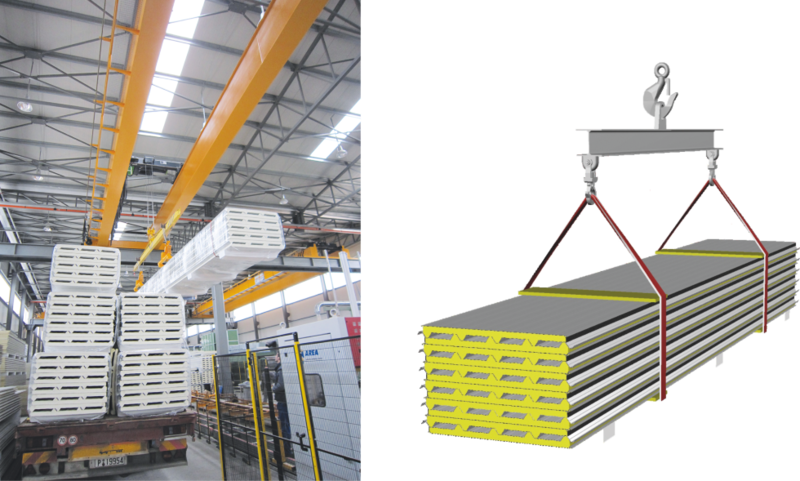 • Pre-painted steel, in conformity with the EN 10169 standard, on hot dipped galvanized or aluzinc steel with yield strength 250-320 N/mm2 according to EN 10346 and EN 10143. • Plastified anti-bacterial coated steel, special for cold rooms and hygienic applications. • Pre-painted, smooth or embossed aluminum, copper and stainless steel on demand. DOMOLAM panels are ranked in Class A regarding their water and air permeability, after testing according to EN 12865 and EN 12114. 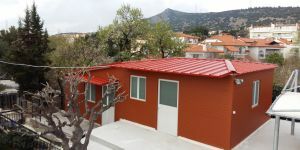 DOMOLAM roof panels are classified as BROOF(t1) according to the standard CEN / TS 1187:2013. Slight leaking of foam from the joints, small foam vacuum or slight omissions and irregularities in the position of the gasket are acceptable, as long as the functional character of the panel is not compromised. Long packs should be unloaded either with the use of spreader beam or long belts. Pre-painted sheets should not be dragged. Should be tilted and covered in such a way as to ensure ventilation, in order to avoid vapor ondensation and electrochemical corrosion. After the installation, the protective film (if any) should be removed and the surface should be cleaned from cutting and drilling swarfs. 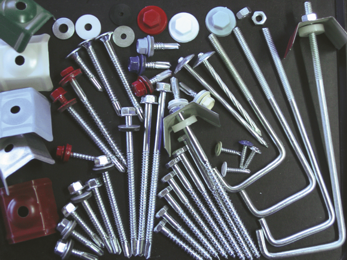 It is recommended that at least 2 fasteners should be used on each sheet and purlin, except for the top and bottom part of the sheet, where 3 are necessary. Fastening should stop when the sheet starts deforming under the screw, to ensure the best aesthetic and static results. DOMOLAM panels are disposed in 3 types, according to the bearing capacity, aesthetical effect and cost saving requirements of the construction. 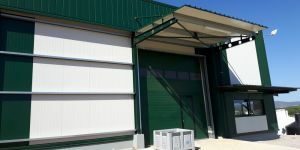 Alternatively the panels “DOMOLAM AGRO” are produced with aluminum foil or PVC inside for agricultural or animal breading facilities. 1. The innovative joints details ensure absolute water and air tightness. 2. Produced with special ribs at the sides of the trapezoidal formations for increasing the bearing capacity of them. 3. 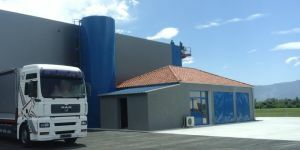 Combined according to their type with innovating photovoltaic cells in adhesive membrane. 4. Disposed also specially formed for right or left overlapping by length.